Photo courtesy BullocksGuns.com, Flint, MI. In fact 2016 has been a record-breaking year for U.S. gun sales so far. It looks like, if gun sales continue at the current pace, more guns will have been sold in 2016 than in any other year in American history. The question remains, will gun sales remain high with a Republican in the White House? The continuing record-setting volume of gun sales after the November election surprised some experts, who opined that the Republican election victory would ease concerns about future gun control. Such fears certainly drove gun sales in the first three quarters of 2016 as most “experts” predicted that Hillary Clinton would be the next President, and that she would push for restrictive gun laws. On Black Friday 2016, NICS Background Check processing topped Black Friday 2015 when the previous single-day record of FBI-processed gun transactions was set. In fact, so many Americans lined up to purchase firearms on Black Friday 2016 that the FBI was processing three background checks every second. Think about that — three gun sales per second. That’s triple the normal rate of gun sales. 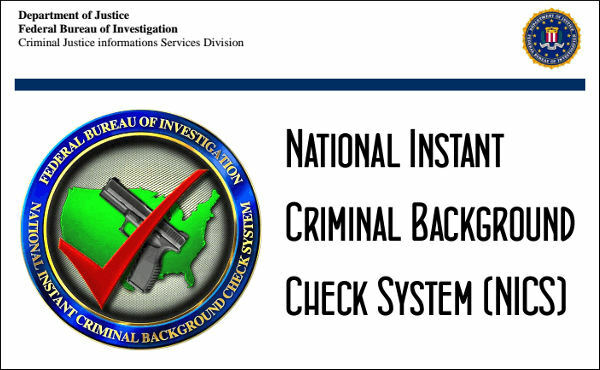 The website The Blaze reported: “The typical Black Friday boom in gun sales doubles the number of background checks handled by the FBI’s National Instant Criminal Background Check System (NICS), from one per second on an average day to two per second.” On Friday afternoon November 25th, that figure had reached three checks per second. 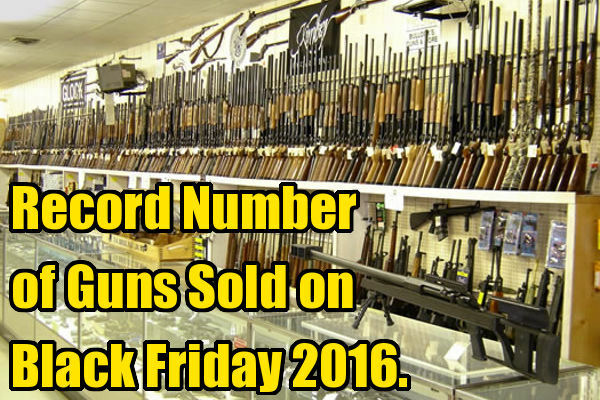 Share the post "Black Friday 2016 — Most Gun Sales in One Day in U.S. History"
Few, if any, gun safes come with adequate factory-installed lighting. Even if you have overhead lamps in the room where your safe resides, you’ll still find that the inside of your safe is dark, making it difficult to find small items. By adding interior lighting to your gun safe, you’ll lessen the chance of “bumping and grinding” your precious firearms as you move them in and out of the safe. Here is a simple, do-it-yourself project that costs very little money. String LED lighting is now available at low cost. Called “rope lights” or “string lights”, these are strings of LEDs in lengths of plastic tubing. Gunsafe vendors sell strings for up to $35.00 per coil, but you can buy the same products at discount chains for under $5.00. Brian J. from Virginia reports: “I just went to Wally World’s Christmas clearance section and picked up two strands of Rope Lights for $3.50 each!” He then installed the strings behind the shelves of his gunsafe, as you can see in the photos. LED string lights draw very little electrical power and have a very long life-span so you can leave your Rope Lights running continuously in winter. In addition to illumination, LED strings will provide some warming of the air in the safe, which helps prevent rust by raising the dew point. We still recommend that you use a GoldenRod or similar warming unit, placed at the bottom of your safe, plus desiccant packs to actually absorb moisture. As you can see, Rope Lights provide a great lighting solution that illuminates even the small dark corners of internal shelving units. Rope Lights are easy to install. Just string the lights behind your shelves. Most safes come with a pre-drilled hole in the bottom for a dehumidifier. Just slip your Rope Light power cord through this hole and plug it into the wall. For more tips on how to illuminate your safe and protect its contents from rust and corrosion, read our Gun Safe Buyers’ Guide. The most comprehensive Gun Safe Resource on the web, this article covers a multitude of topics including lock selection (electronic vs. manual dial), fire-proofing, door hinge design, water-proofing, wall construction, rust prevention, handgun storage options, and gun safe installation. Gun safe interior photos by Brian J., used with permission. Share the post "Let There Be Light — Efficient LED Lighting for Gun Safes"
This Sunday, December 4, 2016, Tom Gresham’s GunTalk Radio will feature a discussion of suppressors, aka “silencers”, “cans”, or “sound moderators”. With firearms industry experts, Tom will discuss the current regulations for suppressors, as well as efforts to remove silencers from the list of NFA items requiring expensive tax stamps and cumbersome paperwork. With the Republican gains in the November election, there are renewed calls for changes in the laws regulating suppressors. In fact, many suppressor advocates say now is the time for sound moderators to be removed from NFA control altogether, so that suppressors could purchased “over the counter” just like scopes, slings, or other common shooting/hunting accessories. Suppressors are a valuable accessory for general-purpose rifles, so we would like to see suppressors legal in all 50 states. In addition, we believe the USA should follow the lead of European nations which promote the use of sound suppressors for safety reasons. In most European countries, for example, you can purchase a suppressor easily. There are no difficult barriers to ownership, onerous background checks, or special taxes. The Europeans seem to understand that suppressors protect the hearing of shooters (and bystanders), while suppressor use also dramatically reduces “noise pollution” concerns for shooting ranges in urban/suburban areas. The Europeans also understand that sporting/hunting use of suppressors does NOT increase criminal or gang activity. It is time for the USA to adopt these more enlightened viewpoints. In its 21st year of national syndication, Tom Gresham’s GunTalk radio show airs live on Sundays from 2:00 PM to 5:00 PM Eastern, and runs on more than 200 stations every week. Listen live on a radio station near you or via live streaming from one of GunTalk’s Syndicated Audio Stations. After airing live, all GunTalk Radio Shows can also be downloaded as podcasts. Share the post "CANtastic — Learn About Suppressors on GunTalk"